In 1963, Gene Kubicki founded the firm based on dedication to excellence. The same high standards have been maintained for over five decades -- years which have seen the firm’s ranks swell to over 100 attorneys. 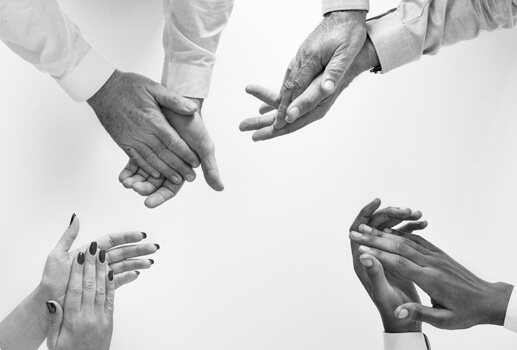 Our team knows return clients are the life blood of any law firm and this is why we ensure client satisfaction by an exacting attention to service and quality. Client service coupled with a spectacular work ethic, makes our team hard to beat. 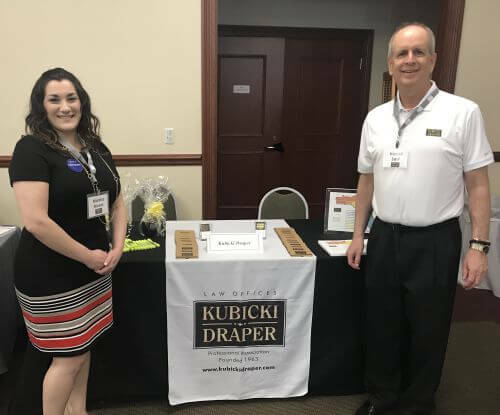 Kubicki Draper is committed to fostering an environment of equal opportunity for success and believes diversity is not only a moral imperative, but is also sound business practice. In response to the growing needs of its clients, the firm began expanding in the early 1980's and today is a diverse full-service law firm providing trial, appellate, coverage, commercial and real estate transaction services. 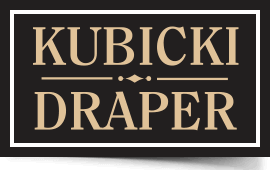 Kubicki Draper enjoys a national reputation for expertise in the handling of complex, high stakes litigation matters, as well as, appellate, general commercial and real estate practice. With a dozen offices throughout the State of Florida and other key points in the southern parts of Georgia, Alabama and Mississipi, our firm is familiar to every venue statewide and will never get home-teamed. For questions about our services and/or to assign a new matter, please contact Brad McCormick. “In it for the long run” best sums up Ken Oliver’s career as an Attorney and Equity Partner of the firm. Ken holds the distinction as the longest, continuously tenured employee at the firm, having started over thirty-four years ago. Ken started with the firm immediately out of law school when he was hired by Betsy Gallagher and Gene Kubicki. Ken obtained his Juris Doctor at Nova Southeastern University Shepard Broad College of Law, and was a member of the law school’s first class to graduate after full accreditation. While in law school, Ken was able to clerk at a law firm with fellow Equity Partner, Earleen Cote, starting a more than thirty year long friendship. 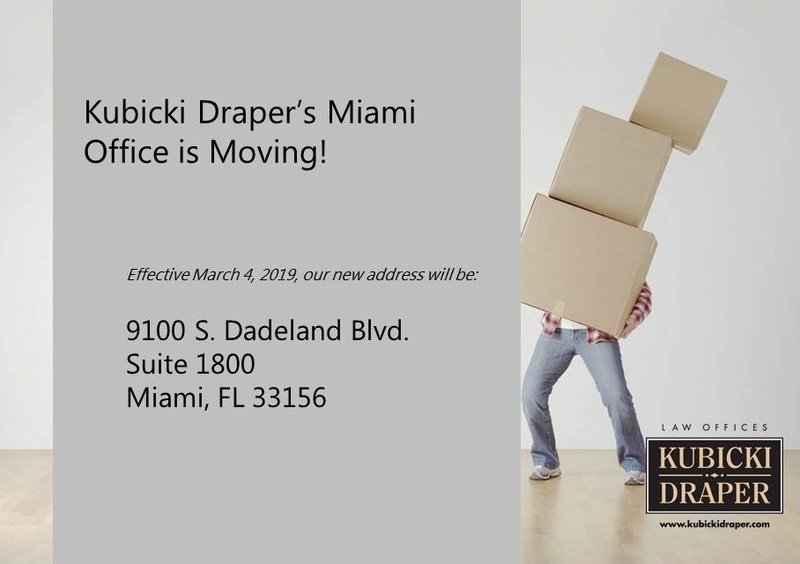 When Ken started at Kubicki Draper, he was the 18th attorney in the firm, when it only had one office in Miami. In 1991, as Kubicki Draper continued to grow, Ken was given the opportunity to help the firm expand by opening the Fort Lauderdale office. 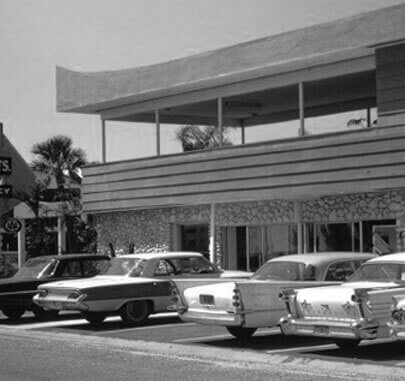 Eleven years later, Ken went on to open the Fort Myers/Naples office, where he continues to be the Managing Partner. Ken has been a part of the firm expanding over the years from one office with less than twenty attorneys, to a firm with thirteen offices and approaching 150 attorneys. 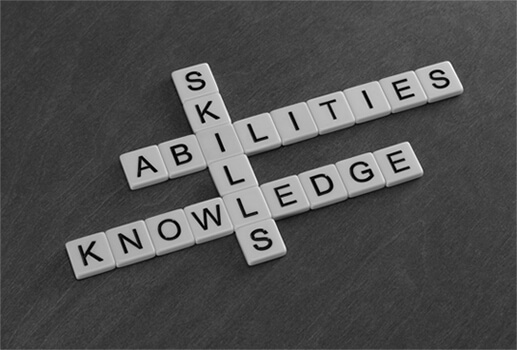 While Ken enjoys practicing in the areas of bodily injury liability, premises liability, professional negligence, catastrophic/high exposure losses, and bad faith prevention matters, he also enjoys training claims professionals and having the flexibility to help mentor and train the firm’s next generation of trial attorneys. When he is not practicing law or helping run the firm as an Equity Partner, Ken enjoys spending time with his wife, Josie, his two daughters, and the grandchildren he and Josie share. KD's 2019 Best Lawyers® "Women in the Law"
We are thrilled that several KD partners were selected for inclusion in the 2019 Best Lawyers® “Women in the Law,” Spring Business Edition. Caryn Bellus (Miami), Angela Flowers (Ocala) and Betsy Gallagher (Tampa) were recognized for their Appellate Practice. Laurie J. Adams (West Palm Beach) was recognized for Personal Injury Litigation. Jane C. Rankin (Ft. Lauderdale) was recognized for her work in Real Estate Law. Congratulations to all. We are extremely proud of their integrity and commitment to the quality of work they do. You may view the entire publication here: Best Lawyers Spring Business Edition 2019. Best Lawyers is the oldest and most respected attorney ranking service in the world. 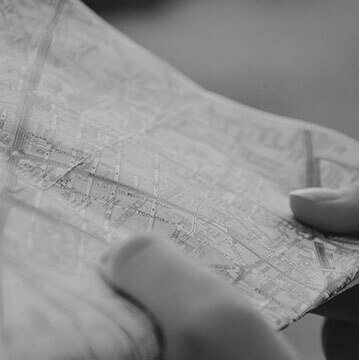 For more than 30 years, Best Lawyers has assisted those in need of legal services to identify the attorneys best qualified to represent them in distant jurisdictions or unfamiliar specialties. Best Lawyers lists are published in leading local, regional, and national publications across the globe. 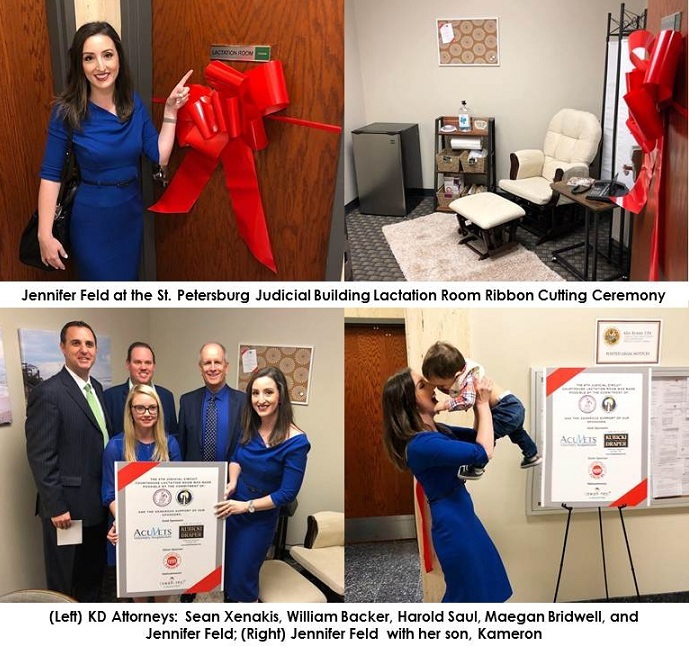 KD attorneys Jennifer L. Feld, Maegan Bridwell, Sean-Kelly Xenakis, William Backer, and Harold Saul recently attended a ribbon cutting ceremony for a new lactation room in the St. Petersburg Judicial Building. 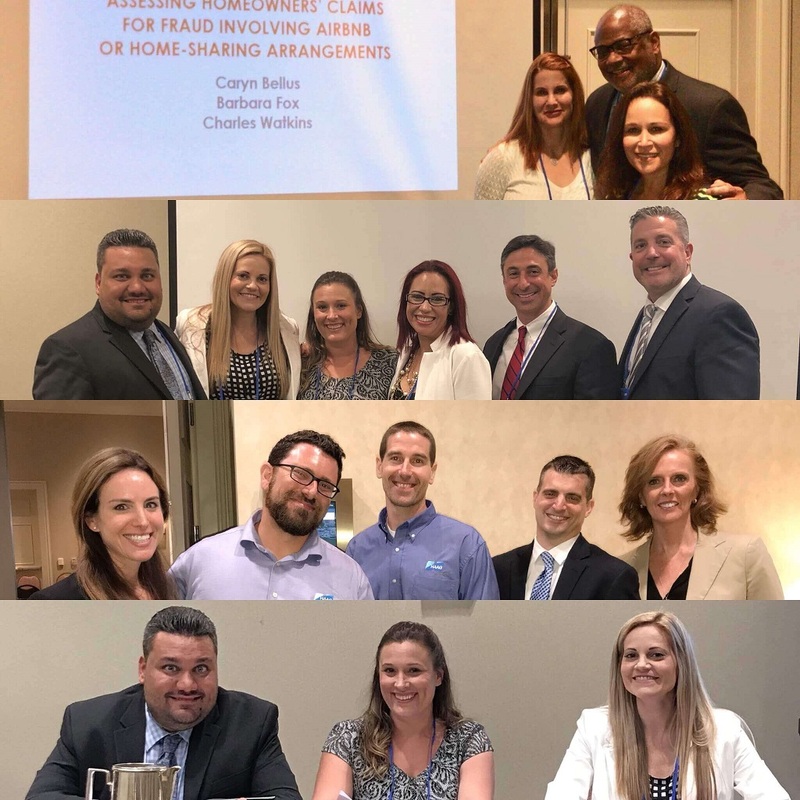 The event was hosted by the Pinellas Chapter of the Florida Association for Women Lawyers and the Clearwater Bar Young Lawyers Division. The keynote speakers included Mayor Rick Kriseman and Chief Judge Anthony Rondolino. We are very proud of Jennifer who has become a pioneer for lactation room awareness and played an important role in the addition of the lactation room to the judicial building. We are honored to have supported Jennifer and this project as a sponsor. To read articles Jennifer has written about the challenges she faced as a new mother and attorney, please click here and view her authorships. 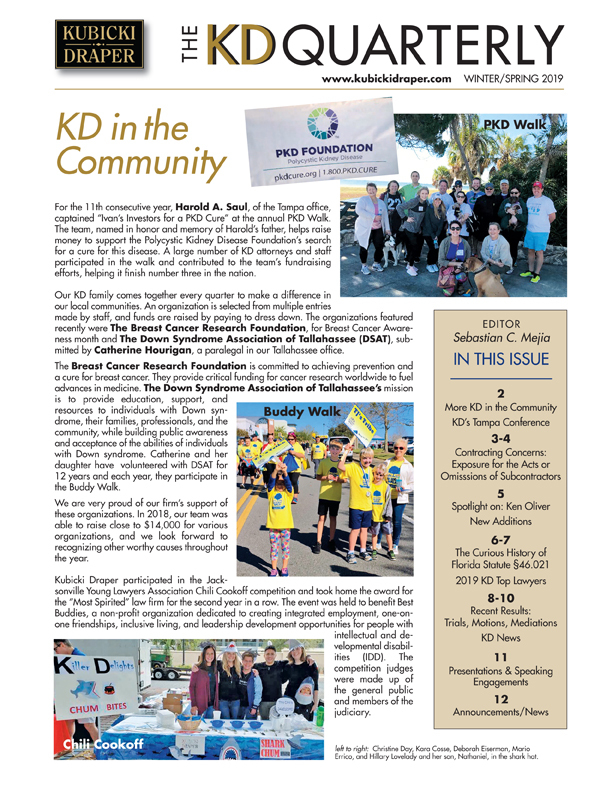 South Florida Legal Guide Names KD a "Top Law Firm" and Recognizes Several Attorneys as "Top Lawyers"
We are pleased to announce KD has been named as a "Top Law Firm" by South Florida Legal Guide. 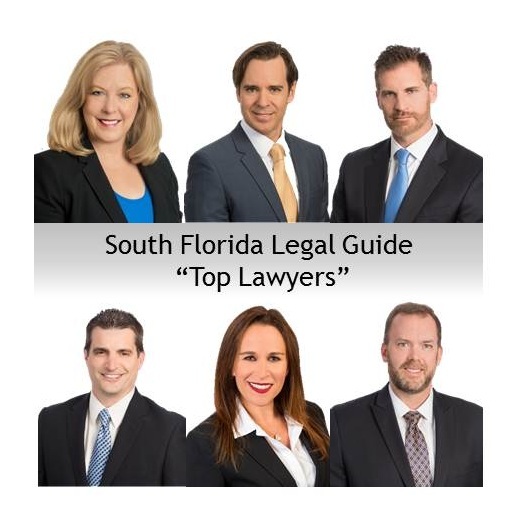 South Florida Legal Guide’s Top Law Firms and Top Lawyers listings are published annually and are based on peer nominations. Nominees are evaluated on accomplishments and individual credentials prior to being named to the list. 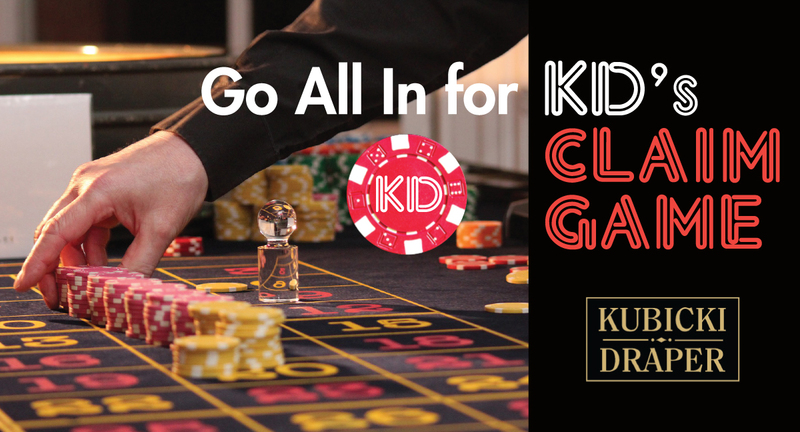 For over a decade, Kubicki Draper has been a proud sponsor of the CLM Alliance (Claims and Litigation Management Alliance) Annual Conference, and we’re thrilled to once again support this great event as a Platinum Sponsor. The conference is for professionals in the claims and litigation management industries and is set to take place at the Orlando World Center Marriott on March 13-15. Brad J. McCormick, Caryn Bellus, and Charles Watkins will be attending and are looking forward to participating in some of this year’s amazing sessions which offer a mix of over 100 interactive educational sessions. For more information, please visit: the CLM.org or contact Brad, Caryn or Charles. Our Miami Office Has a New Home! We are pleased to announce Marsha Moses has been selected as Chair of the FDLA’s (Florida Defense Lawyers Association) newly formed Diversity and Inclusion Committee. 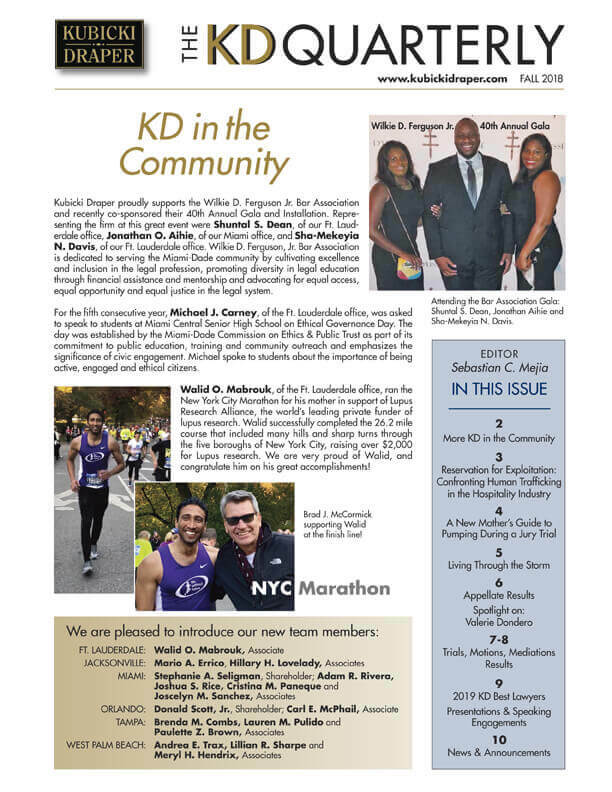 It makes us proud to see one of our own taking on such an important role, especially since we believe diverse law firms are stronger and more vibrant. The innovation that different backgrounds, cultural perspectives and life experiences bring to a firm’s pool of thought, benefits firm culture and, ultimately, clients. Kudos to FDLA and Marsha for helping to bring more awareness to this important issue. Thanks, in large part, to Jennifer Feld of our Tampa office, the 6th Judicial Circuit will soon have a lactation room. It all started with an article Jennifer wrote for the Daily Business Review (DBR) about her experiences as a new mother in trial. “A New Mother’s Guide to Pumping During a Jury Trial” was featured in DBR’s August 2018 publication and sparked tremendous interest. Since then, Jennifer co-authored an article for the St. Petersburg Bar Association’s Paraclete (see page 12) and appeared on Fox 13 News to talk about the importance of having dedicated spaces for new mothers in the legal profession, as well as visitors, such as jurors to the courthouse. Jennifer has become a pioneer for lactation room awareness, and we are so proud of her going public with her experiences to bring much needed attention to this very important topic. We are very proud of Valerie Dondero of our Miami office. On December 20, 2018 the Florida Supreme Court sided with Progressive Select Insurance Company and insurers throughout Florida in striking down Lee Memorial Health System’s Lien statute, finding the law unconstitutional under Article III, section 11 (a) (9). Lee Memorial brought suit against Progressive alleging it impaired the hospital lien when Progressive settled a third party injury claim with the patient. Progressive successfully asserted that the lien statute is a special law that created, enforced and impaired liens based on a private contract, in violation of Article III, section 11 (a) (9). Lee Memorial asserted that its status as a public hospital permitted it to solely enter into public contracts, thereby avoiding the constitutional prohibition. Neither the Second District nor Supreme Court agreed, finding that the nature of the agreement to provide medical care and treatment, rather than the status of one of the parties to the contract, determined whether the contract was private or public. Valerie A. Dondero is a shareholder in Kubicki Draper’s Miami office and has been with the firm for seven of her twenty-eight years of practice. A native of West Chester, Pennsylvania, Valerie attended Immaculata University just outside of Philadelphia. After obtaining her bachelor’s degree, Valerie obtained her Juris Doctor at St. Thomas University School of Law. Prior to joining the Firm, Valerie was an equity partner at a South Florida firm and served as the Chair of Property and Casualty Claims, where she honed her skills as a litigator and coverage attorney. 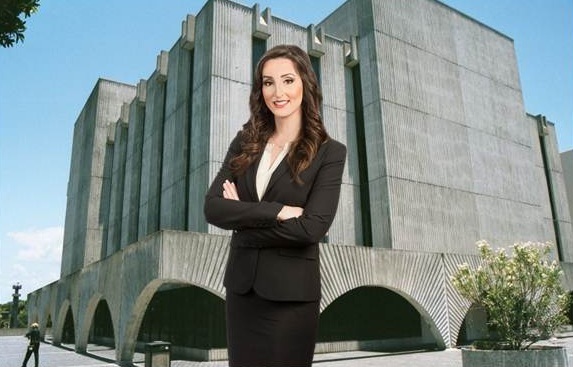 From a young age, Valerie knew she wanted to practice law in large part because she desired to be in a position where she would be able to protect and help others. After twenty-eight years, Valerie still holds true to those same principles of fairness and justice for her clients. In addition to her desire to help others and achieve the fairest result, Valerie’s passion for the law comes through in her embracing the intellectual challenges she deals with every day. In her coverage-based work, Valerie “lives” with a file from start to finish, analyzing issues from the pre-suit phase to the trial, appellate, and enforcement phases. Valerie’s wide-ranging experience has taken her to the Florida Supreme Court where she will be pressing forward with a challenge to the constitutionality of a Lee County hospital lien ordinance. Valerie is lucky in that she has found not only a life partner in her husband, George, but also a law partner who she can use as a sounding board. When they are not practicing, Valerie and George enjoy being with their family, including his two sons, their daughter, Juliet, and their grandchildren. Valerie and her family also enjoy being on the water and are involved in the Coconut Grove Sailing Club, a callback to Valerie’s days as a competitive swimmer. Whether it’s tackling a complicated legal issue for a client, providing mentorship to the lawyers she works with, or focusing on her family, Valerie prides herself on being the kind of person that people feel they can come to for support, and it is what makes her such a strong asset to the firm. 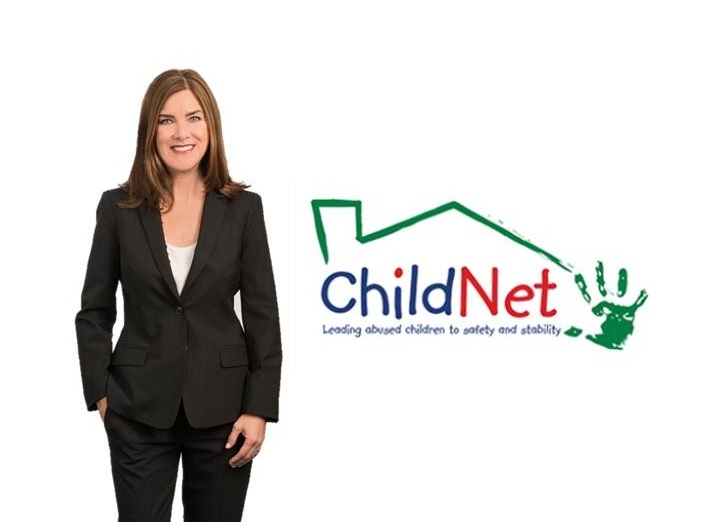 Kubicki Draper is a proud sponsor of the ChildNet Care for Kids Luncheon taking place on April 9, 2019 in Palm Beach. ChildNet is a Community-Based Care lead agency in Palm Beach and Broward Counties, which means it is responsible for the administration of the local child welfare system. Their mission is to protect abused, abandoned and neglected children throughout the community. Rebecca Brock of our West Palm Beach office is on the Board of Directors and will be attending the luncheon. Proceeds from the luncheon are used to directly help the children in foster care. They may be used to pay for dental work and medical treatment not covered by Medicaid, as well as activities to provide some semblance of normalcy like being able to attend a school field trip or participated in extracurricular enrichment activities. For more information about the agency or to donate please visit: https://www.childnet.us/how-help. It is our pleasure to invite all claims professionals to our First Party Property Conference on April 26 in Tampa, Florida! The event is complimentary and is designed to provide guests with information that will assist them in claims handling and management. All courses have been approved by the State of Florida, and attendees will be eligible to receive up to six Florida Continuing Education Credits. This course will provide an overview of an insured’s obligations under a property insurance policy after a loss occurs and once the claim is submitted to the carrier. Guests will learn how a failure to comply with those obligations can affect coverage and any subsequent litigation, and why it is important to understand the applicable legal principles at the adjusting level of handling the claim. This course will teach insurance professionals how to evaluate and defend attorney fee claims. It will include an overview of procedures and practices and will go over how to assess hours and rates claimed, fee entitlement and how to contest the claim presented under the applicable law. This presentation will provide a basic primer on civil remedy notices of insurer violations (CRNs) under Florida’s bad faith statute, §624.155, Fla. Stat. It will address what they are and why they are important, as well as the requirements for a CRN and CRN responses. It will also touch on the confession of judgment rule and its relationship to “curing” a CRN. This panel discussion and presentation will focus on the use of modern technology including 3D scanners, drone, and computer animation to assist property insurers, their insureds, and defense counsel in firs-party matters beginning with the underwriting process, through anticipated loss analysis, and resulting insurance claims and litigation. The changing world and decreasing cost of technological aids have changed the way properties are designed, insured, forensically analyzed, and litigated. Examples of some of the new tools and their applications will be shown as part of the presentation. The course will provide an overview of how to maneuver through and properly adjuster a roofing claim, how to issue spot and address roofing issues within a public adjuster’s estimate and field adjuster’s estimate, how to calculate a roof replacement, when repair is a viable option and what you should expect from your field adjuster on any roofing claim. This presentation will focus on analyzing whether a loss is the result of wind and/or rain to assist claims examiners, insurance industry professionals and defense counsel in first-party homeowners and commercial matters to properly analyze the cause of damage, particularly for a Hurricane loss, and make an early determination as to coverage. The course will also address evolving case law in the area of concurrent causation and valued policy law, which should be considered in determining whether a loss is covered under a homeowners or commercial insurance policy. Space is limited, so register today! For questions or registration information, please contact Aileen Diaz at ad@kubickidraper.com. 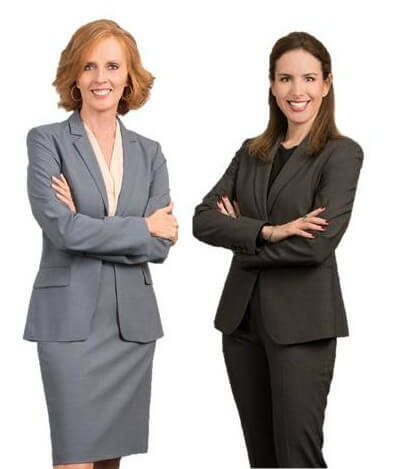 We are pleased to announce Valerie Dondero and Nicole Wulwick, of our Miami office, presented at the American Inns of Court (Spellman-Hoeveler Chapter) Bench & Bar Conference on March 1, 2019. Nicole presented on "Taking the Winning Deposition" and Valerie covered "Bad Faith Fees in Insurance Litigation." The conference took place at the Hyatt Regency Miami and was attended by federal and state judges and the top attorneys across Florida. Alexandra Paez, Rebecca Brock, and Laurie Adams participated at the Palm Beach County Bar Association’s Bench Bar Conference on February 22nd. Alexandra participated as a co-chair, and Rebecca as moderator, for a session on hot topics in personal injury. The esteemed panel for the session included Judge Rowe, Judge Nutt, Judge Keyser, Judge Gillen, Judge Gross, and Judge Artau. Together they covered everything from pre-trial and expert discovery to pre-trial disclosures, and voir dire. Alexandra also co-chaired a panel Laurie was a part of along with Sean Dominick and Judge Sasser. They discussed bad faith and the recent Harvey v. GEICO opinion, as well as first-party property considerations, and ethical considerations, dilatory tactics, and compliance with local rules. 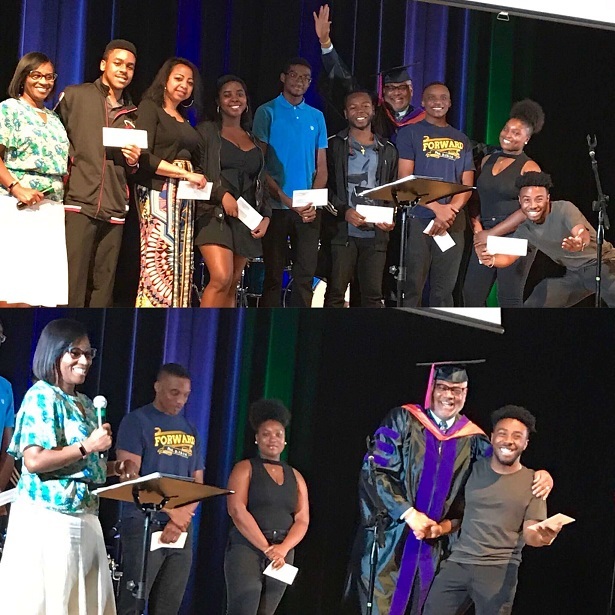 Charles Watkins of our Miami office proudly awarded $10,900 in scholarship funds to worthy students during Pioneer Community Church’s annual celebration honoring graduates. As the Chair of the Kathleen B. Watkins Scholarship Fund, every year, Charles continues his mother’s legacy and awards qualified students funds to assist them in obtaining a college degree. 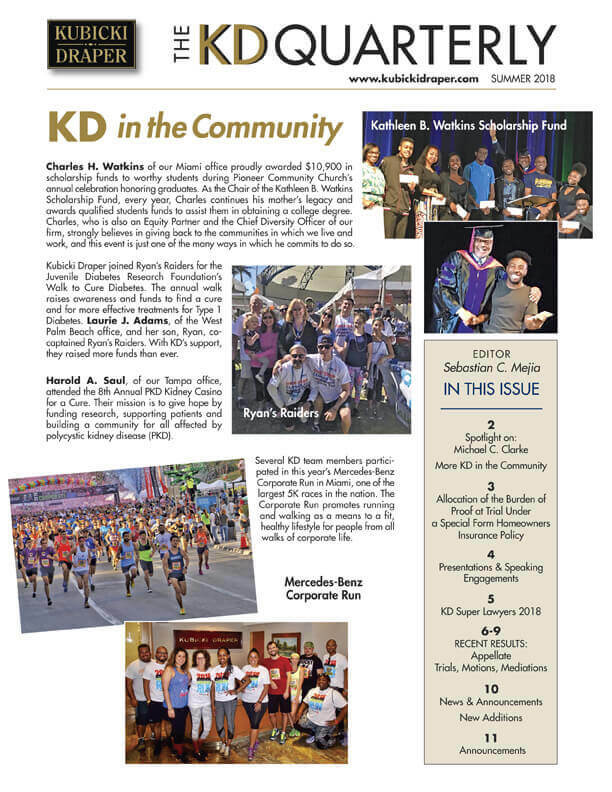 Charles, who is also an Equity Partner and the Chief Diversity Officer of our firm, strongly believes in giving back to the communities in which we live and work, and this event is just one of the many ways in which he commits to do so. "Solicitation and Brokering" presented by Anthony Atala, Kara Kennedy Cosse, Jarred Dichek, Michael Walsh and co-presenters, Jennifer Newell, CIFI from Federated National Insurance, Ruth Molina, PhD(c), CFLS and Lieutenant Frank Gonzalez from the Department of Financial Services, Bureau of Insurance Fraud. "Fraud in Hurricane Irma Roof Leak Claims" presented by Valerie Dondero, Scott Rosso, Nicole Wulwick and co-presenters from Haag Engineering, Aaron Duba and Ryon Plancer, P.E. "How to Know a Real House Guest from a Monkey’s Uncle: Assessing Homeowners’ Claims for Fraud Involving Airbnb or Home-Sharing Arrangements" presented by Caryn Bellus, Barbara Fox and Charles Watkins. If you have any questions or would like more information about any of the topics, please contact one of our presenters above. We look forward to participating in and hopefully seeing you at this great event next year! We are pleased to once again sponsor CLM’s Annual Conference. The conference is set for March 14-16, 2018 in Houston, TX and Charles Watkins and Caryn Bellus from our Miami office will be in attendance. Charles is slated to present on March 15 with Jim Everett of Everett Cash Mutual Insurance Group and James Martin of Carfax. They will be discussing issues attendant to the overall management of auto total loss claims in catastrophic situations. Issues to be discussed include gaining knowledge of exposure pre-CAT, claim resolution options, referral flags for SIU, and the staging of SIU to handle them. The panel will also address legal issues including fair claim handling practices, Diminished Value on non total losses, fraud investigation assistance, and prosecution including fraud rings. Participants are encouraged to offer ideas, solutions, and examples of utilizing new technology and data to solve issues relative to these areas. 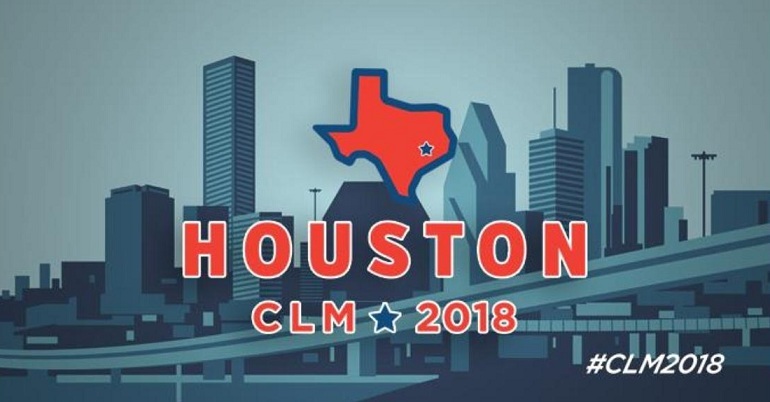 For more information, please visit: 2018 CLM Annual Conference. We proudly support and celebrate the success and contributions of women in the construction industry. 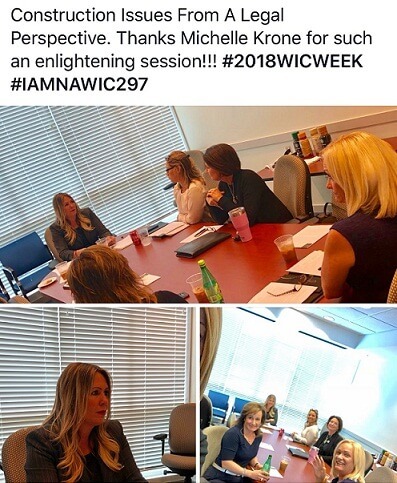 Michelle Krone, of our Ft. Myers office, took part in celebrating Women in Construction (WIC) Week by presenting a session on behalf of the National Association of Women In Construction. She offered guests a legal perspective on issues related to the construction industry. Harold Saul and Marsha Moses, of our Tampa office, participated in the Hillsborough County Bar Association’s Diversity Networking event at the Chester H. Ferguson Law Center. The event helps connect minority law students with attorneys, judges and members of local legal organizations in a casual, friendly and low-pressure environment. Harold and Marsha were able to meet several eager law students, many local judges, and special guest Florida Supreme Court Justice C. Alan Lawson. Kubicki Draper is proud to be a part of this great event centered around diversity. Miami shareholders Valerie Dondero and Nicole Wulwick joined several Miami-Dade County Judges and young female attorneys at the Florida Association of Women Lawyers Trial Skills Advocacy workshop. During this two day event Nicole sharpened her trial skills working with several judges on opening statements, cross examination of lay and expert witnesses and closing arguments. Valerie was invited to join the Judges panel and provided her experience and perspectives on trying cases, developing the theme to the trial and effective closing arguments. The workshop was a huge success and both Valerie and Nicole were highly complimented by our Miami judiciary. Mario Errico, of the Jacksonville office, received a defense verdict after a very contentious 3 day trial. The young 26 year old Plaintiff was claiming neck, back, and knee pain related to the 2016 rear-end car accident. Plaintiff had accumulated around $16,000.00 of medical treatment over the last two years, and was seeking significant amounts of money for many years of future pain management until her own doctor testified that he would only give her a few years of additional conservative treatment. During closing argument, Plaintiff’s counsel asked for a $150,000.00 verdict. Mario had a filed a Proposal For Settlement for $12,500.00 against Plaintiff’s Proposal For Settlement for $20,000.00. The jury ultimately awarded $15,000.00, which after setoffs triggered the defense’s Proposal for Settlement. Nicole Wulwick, of the Miami office, had an excellent result in a first party property case involving a denied drain line backup claim. Plaintiffs’ damages estimate, not including attorney’s fees, was $200,000.00. Nicole immediately deposed the Plaintiffs and the tenant of the property, to eventually file a Motion for Summary Judgment. The Motion was set for hearing on a Monday morning, and late the Friday evening before the hearing, Plaintiffs accepted our $2,000.00 settlement offer. Bretton Albrecht, Barbara Fox and Caryn Bellus, of the Miami office, obtained a written order providing that if an insurer pays benefits pursuant to a CRN, it is not a confession of judgment entitling plaintiff to fees. 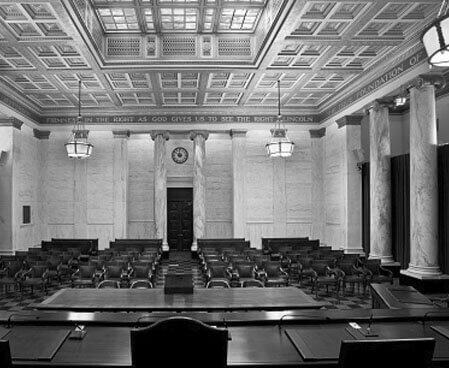 After a hearing on plaintiff’s motion for summary judgment argued by Bretton, the court found that the tactic of filing suit and a CRN and waiting for the insurer to pay benefits before effectuating service is a “gotcha” tactic to which the confession of judgment rule does not apply. Sean Xenakis and Maegan Bridwell, of the Tampa office, received a very favorable settlement after four very tenacious days in trial. The case involved a large amount of pain management and a spine surgery. The past medical bills were almost $130,000.00. The policy limits were rejected, and there was a proposal for settlement which was so low, the defendant would have owed attorneys fees because the amount which would have to be conceded was enough to trigger the fees. However, due to Maegan’s handling of the before and after witnesses, as well as Sean’s skilled cross examination of the plaintiff, her case began to significantly erode. The claims by the plaintiff, her sister and mom (the two before and after witnesses) that her life was ruined and she was basically house ridden were revealed to be grossly exaggerated based on admissions of the plaintiff during Sean’s cross in part due to some social media posts. The plaintiff even admitted that her sister’s testimony may have gone too far. 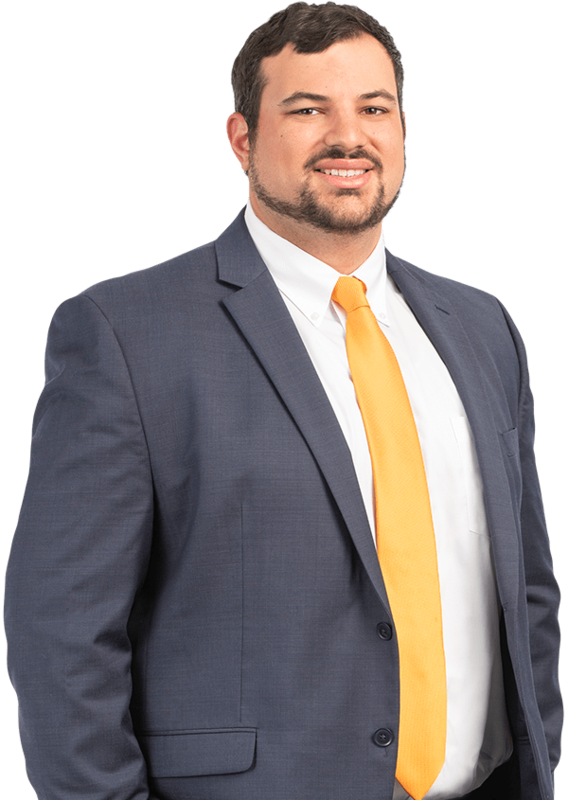 Kenneth Oliver and Angela Agostino, of the Fort Myers office, obtained a defense verdict in Collier County on an admitted liability auto case. The plaintiff mother had left wrist surgery with over $65,000.00 in medical bills, the 22 year old plaintiff son had cervical and lumbar bulging discs with over $22,000.00 in medical bills, and the plaintiff father brought a loss of consortium claim. Since the accident, the defendant had passed away, unrelated to the auto accident. Ken and Angela were able to locate Facebook posts from the family business, UPS employment records from the plaintiff son, and inconsistencies in the Plaintiffs’ testimony and medical records during trial. After a three day trial, the jury came back with a verdict less than 25% of the proposals for settlement filed, awarding only past medical expenses. After set-offs and collateral sources, the net verdict was less than the attorney’s fees and costs exposure created by the verdict. Earleen Cote, of the Ft. Lauderdale office, obtained a defense verdict after a three-day trial in a Broward coverage case. Plaintiff was involved in a collision while driving a recently financed vehicle she claimed was added to her existing insurance policy at the time the vehicle was purchased. Plaintiff sued the carrier for the full value of the vehicle in addition to the amount financed, which was double what the car was actually worth. Neither the carrier, nor the dealership, had any record of the car ever being added to her existing policy, which covered two older vehicles. However, Plaintiff was able to survive summary judgment by arguing the car was added by a carrier representative via telephone while at the dealership. After granting partial summary judgment in favor of the carrier on Plaintiff’s count for reformation, the Judge allowed the remaining claims of breach of contract and declaratory judgment to go to a jury. A defense verdict was returned after about 20 minutes of deliberation. Eric Tourian, of the Orlando office, won a Motion for Final Summary judgment in a PIP matter, arguing that a demand letter was defective. Since it was defective, Plaintiff failed to comply with a condition precedent, and therefore Plaintiff had no standing. After an hour and a half long hearing, the Judge granted Eric’s motion, and granted Summary Judgment for the carrier. 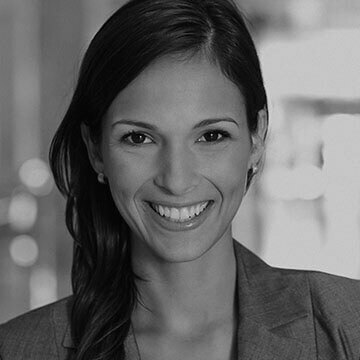 Nicole Wulwick, of the Miami office, obtained Summary Judgment in a denied roof leak claim, which Nicole litigated for two years. The facts were not in the carrier’s favor, but Plaintiffs’ expert Affidavit failed to create issues of material fact and Nicole was ultimately able to prevail. Due to a Proposal for Settlement filed very early in the litigation, Nicole is now seeking both costs and attorney’s fees. Michael Balducci and Lillian Sharpe, of the West Palm Beach office, obtained an Order of Dismissal for Fraud on the Court in a first party property case. Mike argued a motion drafted by Lillian arguing that dismissal was proper due to the insured lying about not having any prior claims or damage to her home (she had a claim against another carrier for similar damage at the home four years before this lawsuit). The Plaintiff denied prior claims in her application and in her EUO, only to try and fess up about it in her deposition, when she said she “forgot” about it, while still denying she had ever filed a lawsuit. Meanwhile, she had filed a suit against another carrier for her prior loss two months before the deposition, which was assigned to the same trial judge as this claim. Despite requests for an evidentiary hearing, the judge determined that Plaintiff had more than enough opportunities to be truthful, and ruled on Mike and Lillian’s motion. Maegan Bridwell with assistance of Sean Xenakis, of the Tampa office, obtained a very favorable verdict after a four day jury trial. Due to an expired Proposal For Settlement, and two very experienced Plaintiffs’ attorneys, there was a significant risk of exposure to attorney fees and noneconomic damages due to the permanent injuries suffered. The two Plaintiff attorneys attended everything in light of a Proposal For Settlement served two years ago that was just slightly more than the past medicals at that time as they were armed with injuries involving objective fractures that caused an extended hospital stay following intake at the ER on the night of the incident. Given the nature of the objective fractures, permanency had to be conceded. The case had many factual disputes and claims of what happened, essentially becoming a trial within a trial. Maegan was forced to juggle and simplify for the various factual disputes to the jury, as well as new matters that arose during trial due to the strategy of Opposing Counsel, such as Opposing Counsel raising an issue of criminal prosecution for perjury against the client in light of his trial testimony. Notwithstanding these many issues, Maegan walked the jury through her well organized opening so they had a more clear picture of the issues requiring their attention and the inconsistency of the alleged facts/evidence. From there, she did her best to rehabilitate our client to clean up the credibility issues he created by his direct testimony. Then, she followed up with a three-hour cross-examination of the Plaintiff over two days, which was a monumental task due to the “street smarts” of the Plaintiff; her constantly changing testimony; and her volunteering of random, non-related information into her testimony to distract the jury Maegan remained polite, respectful, and professional during the extended impeachment process so as to not offend our jury. Through closing, Maegan took the jury on a journey of the actual relevant issues to be determined in the case and the disputed testimony/evidence allegedly supporting same. After four days, the jury had what they needed to find the Plaintiff 49% comparatively negligent and return a verdict that was a fraction of the more than $300,000.00 requested by Plaintiff’s counsel in his closing. Maegan’s hard work will result in a recovery to the Plaintiff amounting to half of her past medicals.